Artificial Intelligence is the new king on the app development throne. AI-infused apps are getting smarter and more intelligent than ever. No better day than today to take a swim in the sea of AI app development with us. A machine performing tasks that require human intelligence is an Intelligent Machine. Artificially Intelligent machines can mimic human thought process, or in other words ‘have a mind of their own’. The very tasks, earlier thought impossible of, are now being solved with more efficient and mind blowing solutions. From chat bots to self-driving cars, advancements in AI seem to only be the tip of the Iceberg. So many Industries pooling in on AI, it is sure to get even better. What better foot steps to follow then the amazing IT giants? Google’s Personal Assistant evolves yet again. It learned the ability to give you a hint to leave early if it expects traffic on a route where you are going next. It can Think! Apple’s iPhone X possesses a neural engine that has crossed over into a whole new world of AI – It can recognize a user’s face to unlock the phone and also transfer a user’s facial expressions onto animated emoji and much more! After defeating the famous grandmaster of the Chinese board game, Lee Sedol, AlphaGo Zero, created by Google’s DeepMind Team, can now create its own knowledge. At CitrusBits, we aim to bring artificial intelligence closer to you then never before. By collecting mountains of scientific research, we are highly motivated to turn smart apps and intelligent services a part of your daily lives. We love a good challenge. Don’t mind the complexity of your AI app idea, our team of expert and passionate AI developers can tackle any problem and turn it into a smart & Intelligent product. In the race of better and more efficient technology, Artificial Intelligence has taken the lead. Experts at McKinsey Global Institute conducted a study and found $40 billion worth of investment brought in by the expansion in AI sector in the year 2016. This was three times higher than the investment brought in the last three years. Why is AI dominating all of technology? Because of the vastness of applications it provides. AI has not only effected the development process of an application but also how users interact with technology. The idea of automated machines requiring little to no human input is just too good to pass on. Imagine the idea of an app testing, finding out the bugs and fixing itself! Too good to be true right? An app could be optimized in a way that it can adjust to different OS updates by itself. This is not only exciting but it reduces the cost and efforts of developing. We develop Machine Learning algorithms which incorporate better decisions-making, when it is most needed. Allowing us to take AI everywhere via cloud services that our data scientists and developers use to come up with intelligent solutions. Security concerns have never left the spotlight. 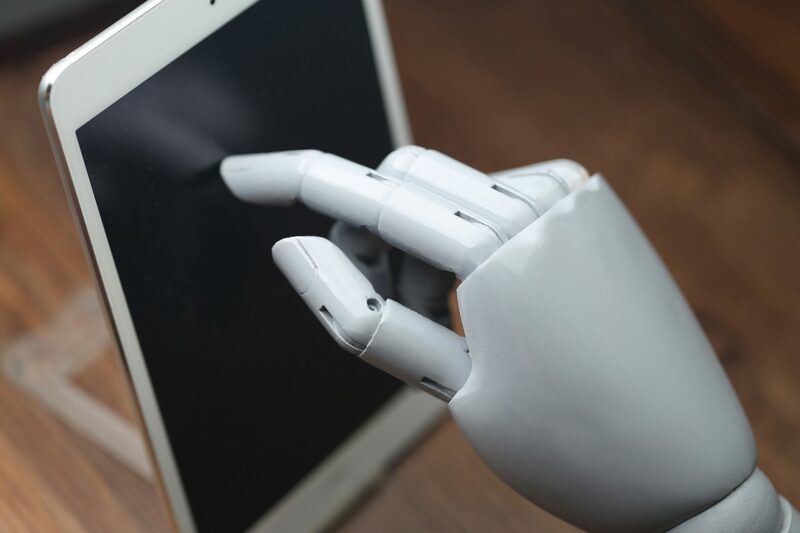 Luckily, AI shows promise in making everything more secure.From Learning and monitoring human behavior , we can now prevent and identify unusual behavior or alerts in advance. Smart phones require smart apps. Only way to meet the rising demand is by incorporating AI in Apps to get interactive and intuitive apps. AI is exceedingly helpful for replacing tasks that are repetitive and outcomes vary. AI and machine learning are part of the same concentric circle, AI being the farthest from the center and machine learning a little closer. Machine learning is, at its very core, the idea of parsing data in order to learn something about the world by the use of algorithms. Combined with AI ,it generates very powerful and a robust solutions, given the learning is true not ‘hard-coded’ by the programmer. It started off from Image detection in the computer world and has now cracked its way open in mobile app development. Machine learning and AI are leaders in providing mobile users a more personalized experience. From Mimicking Intelligence and Learning human behavior, Apps such as ELSA for learning English, Recent News for avid readers, are great examples of how AI is making lives smarter.